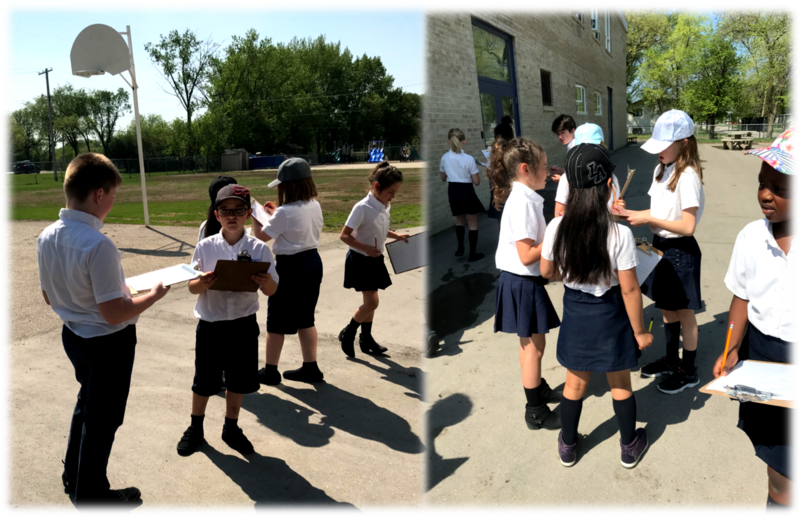 On a sunny Friday, the Grade 3 class decided to take their learning outside! We had just begun our new unit on Data Analysis and had recently started studying bar graphs. To demonstrate our learning, students were asked the question “What Would you Rather Eat?”. The criteria was to ask 10 students for their opinions and then create a bar graph that included all of the essential parts such as a title, numbers, and labeled axes. The Grade 3 Students had a fabulous time creating their own graphs and sharing their learning with others. This activity allowed us to reflect upon our learning so that we could see which parts of the graph we will continue to practice and which parts we have mastered. Our goal for May and June is to continue to bring our math learning outside whenever the weather presents us with the opportunity to do so!